Ebix Enters the Health Continuing Education and Wellness Markets by Acquiring Birmingham-Based Oakstone Publishing, LLC - Berkery, Noyes & Co., LLC. ATLANTA, Dec. 2, 2014 (GLOBE NEWSWIRE) — Ebix, Inc. (Nasdaq:EBIX), a leading international supplier of On-Demand software and E-commerce services to the insurance, financial and healthcare industries, today announced that it has acquired Alabama-based Oakstone Publishing, LLC, a leading provider of continuing education, certification materials for physicians, dentists and allied healthcare professionals, as well as wellness resources for organizations. Ebix also announced that Oakstone would be immediately integrated into its A.D.A.M. Health Information Exchange Division. 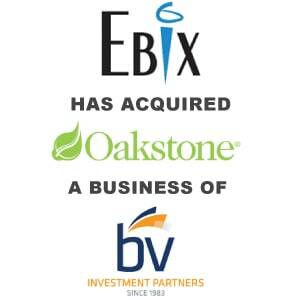 Under the terms of the agreement, Ebix has acquired all of the outstanding capital stock of Oakstone Publishing, LLC. Ebix funded the purchase using its internal cash reserves with no Ebix shares being issued. Ebix expects the transaction to be immediately accretive to earnings. Oakstone’s “Practical Review” service provides physicians, dentists and other healthcare professionals with access to peer-reviewed journal summaries and commentary that allow them to stay current with critical research while earning continuing education credits. Oakstone’s “CMEinfo” service provides physicians, dentists and other healthcare professionals with access to digital recordings of some of the most important medical and dental conferences, for continued learning on an on-demand or offline basis. Oakstone’s “Personal Best” service is an award-winning and medically vetted publisher of one of the most extensive collections of corporate wellness communication tools. Oakstone estimates to have sold a continuing education product to approximately one in 10 U.S. doctors over the last six years. Oakstone generates over 80 percent of its revenue from services paid for by physicians, dentists, medical students and nurses while 20 percent of its revenues come from its wellness publications. Oakstone presently partners with some of the most prestigious educational institutions such as UCSF, UCLA, Harvard Medical School, George Washington University Medical Center, Louisiana State University School of Medicine, Johns Hopkins University School of Medicine and Cleveland Clinic. The Company also partners with leading medical education associations such as American College of Physicians, the American College of Surgeons, American Association of Neurological Surgeons, American Academy of Pediatric Dentistry, American Medical Student Association and the American Geriatrics Society. The Company’s Personal Best® publications reach over 745,000 readers each month at 3,700 organizations. The Company’s content partners include the top six centers listed in U.S. News’ “Best Hospitals Rankings Honor Roll,” and half of the 18 institutions that make up the overall Honor Roll. 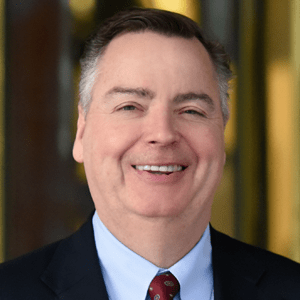 No financial advisors were involved in the transaction from the Ebix side, and Berkery Noyes & Co, LLC served as financial advisors to Oakstone for the transaction. Oakstone Publishing, LLC, an innovative learning company, excels at providing nonbiased, multimedia continuing education and certification materials for physicians, dentists and allied healthcare professionals, as well as effective and award-winning wellness resources for organizations interested in encouraging healthy lifestyle choices within the workplace. The Accreditation Council for Continuing Medical Education (ACCME) awarded Oakstone with Accreditation with Commendation, the highest recognition a medical content provider can achieve. For more information, visit www.oakstone.com. About A.D.A.M. and Ebix, Inc.
A.D.A.M. is a business unit of Ebix focused on providing innovative multimedia health content trusted by best-in-class websites, consumer health portals, healthcare, biomedical, medical device, pharmaceutical, and academic organizations. For more information, visit the business unit’s website at www.adam.com.